Increase your site rank by continuously creating new and relevant content. Social media can be harnessed to bring in huge numbers of sales. $76,000 in the last 6 months. That’s what one of our SuperFastBusiness members has generated in sales from using LinkedIn. And he talks about how he did that inside SuperFastBusiness but I’ll give you one of the big nuggets. It’s answering questions in LinkedIn. In the last week I’ve been testing LinkedIn as well using a LinkedIn group and I can already see some results. So check out what John’s been up to with LinkedIn. This week I put a brand new training inside SuperFastBusiness called Content Assault and it is a lay down to the new TrafficGrab 2 product. It’s everything that I do to create content for multiple media formats. That I then put out there in different places such as blogs, Facebook, press releases, videos like this, YouTube, iTunes, you name it I covered it in Content Assault. You will be able to buy that as a separate product but for now it’s right there in SuperFastBusiness available to members so get in there and check it out. Probably the biggest news this week is that after 4 years I’ve been able to close SuperFastResults and start bringing the content across to SuperFastBusiness. 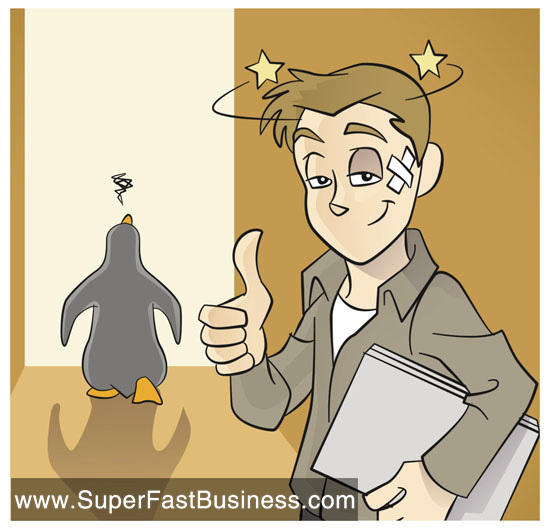 Of course I’m really excited, it means that SuperFastBusiness members get fantastic value. They’re picking up all of that content from the last 4 years and in many cases I’m actually revising and updating and putting brand new versions of the same information inside SuperFastBusiness. So come along and join us. Also ask for the things that you wanted. If you’ve been a member of SuperFastResults anytime in the last 4 years and you’d like some of the recordings or webinars just ask for them and I’ll bring them in to SuperFastBusiness for you. Here’s a tip for surveys. One of my favourite surveys is a one question open answer survey. And the easiest way you can start doing this is just sending a trigger email which means an email that is triggered by an action. It could be when someone joins; you can ask them why did you join? It could be when someone leaves, you could just ask them please hit reply and tell me why you just cancelled your subscription? This one question survey has been fundamental to my business this year. It’s given me all the information I need to improve and make my products and services better. So start surveying your customers even if it’s just one question and even if it’s open ended. I think you’ll find you don’t have to do any kind of incentivisation and you’ll get a really high response rate. And I’m talking higher than 50% if you do it well. Here’s a way to improve your lead generation. Firstly, get behind the psychology that makes it logical that in order to get people to say yes, you will have a percentage of people saying no. Even if I was to flip a coin, 50% of the time I get heads 50% of the time I will get tails. That’s just a mathematical statistic. So if you were to go out there in the market place and ask people to opt-in or to buy your thing, you will get a percentage of no. So just accept that and build that into your psychology and in fact celebrate. When you do get a no that means that mathematically and statistically, you’re actually getting closer to the next yes. So it’s okay to get a no and if you’re in any kind of sales scenario or any kind of exposure to the possibility of a no just accept that that’s part of the deal. And you can be okay. It’s not about you personally; it’s just that your offer or your service may not be, and it’s certainly not designed to be perfect for everyone. That’s why you want your perfect customer and everyone else who’s not the perfect customer is not necessarily someone you needed in the first place. What happens if you get a website slapped for web spam, for not being good enough quality? It’s simple. Delete it; rebuild it with a different purpose that actually creates value. I’ve done an experiment; I’ve shared it with SuperFastBusiness members this week. I had a page rank 2 website of 11 years old. Google slapped it; they de-indexed it for not being good enough quality. We rebuilt the site in a matter of hours with 2 simple banners and resubmitted it for reinclusion. Google said yes, this is great, and now it is back up, indexed, page rank 2, 11 years old, and I shared exactly how I did it, it was so simple. But my point is this. You don’t have to go to a lot of effort. You don’t have to do anything tricky. Your site must be valuable to users. That’s it. So I revealed how I did it. And I think you’ll be surprised how simple it really was. And I’ve been able to do this 3 times now for my test sites. Whenever we’ve pushed a little bit too far, we’ve been able to get it back. Get along to a local meet up. It doesn’t matter whether it’s from a meet ups website, whether it is a local business chapter whether you’re in some kind of rotary, get to local meet ups. Talk about what it is you do in terms of how you solve problems. That’s all that people care about. How can you solve their problems? If you can do that, you’re going to have a great business. We run local meet ups at SuperFastBusiness in most major capital cities. In the UK, the USA, Dubai, New Zealand, Australia, Canada, get to a local meet up and build your business faster. Have a great week. I’ll speak to you soon. I am looking into buying a package but then I get confused because each of the sites you mention like; linkjuics, seopartner, etc all have various packages that do the same thing. This makes it confusing as to what package I really need. It would be like McDonalds have 3 different menus with some of the same items on all 3 menus but different prices and very small differences like only pickles, no mustard, etc. However, they don’t do this. They want the customer to make the decision easily and say, “#4, please”. Anyway, can you do a post on all the different packages and what would be best for certain situations? Thank you. For most people wanting promotion the SEOpartner Pro is the best place to start. Linkjuice is for people who want content from us to place on the website.